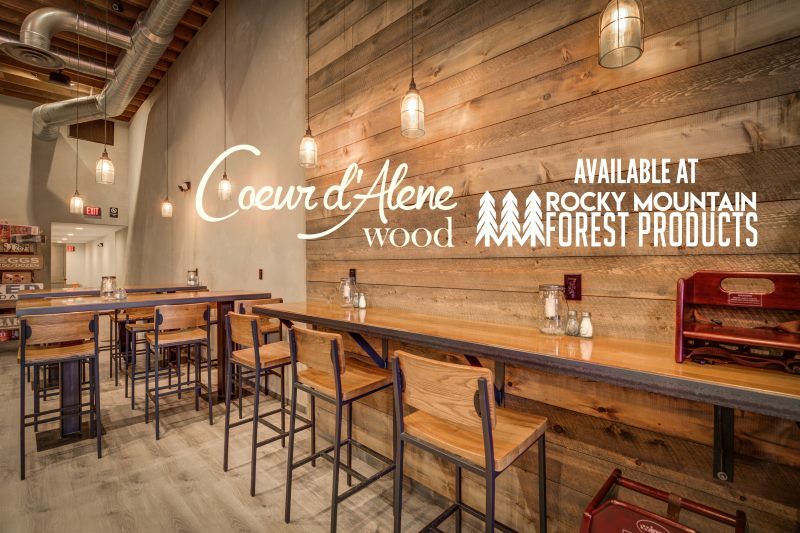 Who is Coeur d’ Alene Wood? 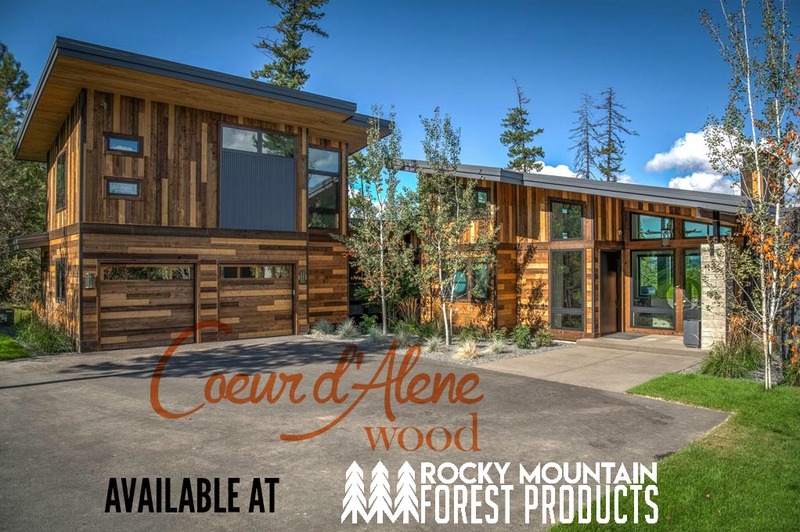 Coeur d’ Alene Wood manufactures and offers an innovative, one of a kind product of aged wood for distributors. CDA Wood has a patented process that has revolutionized the wood aging process. Through accelerated weathering of the lumber, CDA is able to give it an authentic barnwood and reclaimed look and feel. They do this by simply stimulating the organic aging of the wood that naturally occurs from prolonged exposure to completely natural elements. Coeur d’ Alene Wood can achieve these unique colors and one-of-a-kind aesthetic appeal on each piece of raw lumber without paints, stains, or other contaminants. The Xcelerated product line has the structural integrity for outdoor siding projects and is 100% safe for indoor use on both accent walls and ceilings. All of their products are manufactured right here in the USA. A way to age new wood that creates a uniquely weathered look. 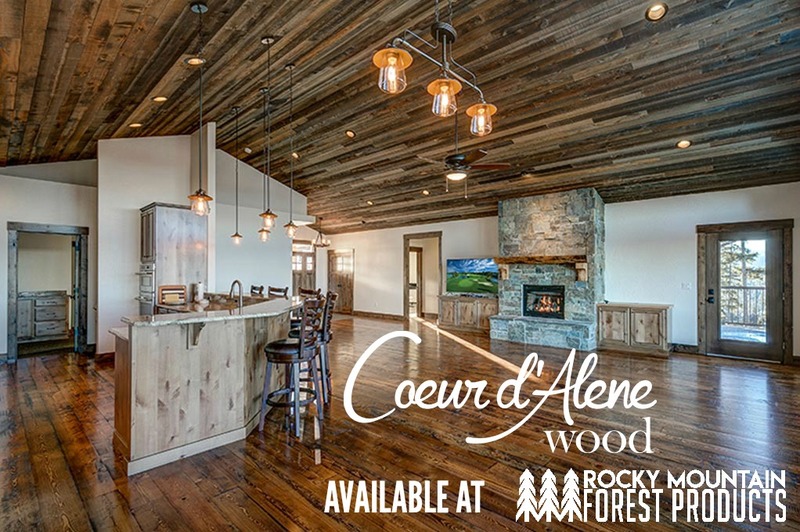 This patented process that Coeur d’ Alene wood had developed accelerated the natural aging of the wood. With this process they are able to achieve the beauty and character of wood that can take Mother Nature decades to accomplish. 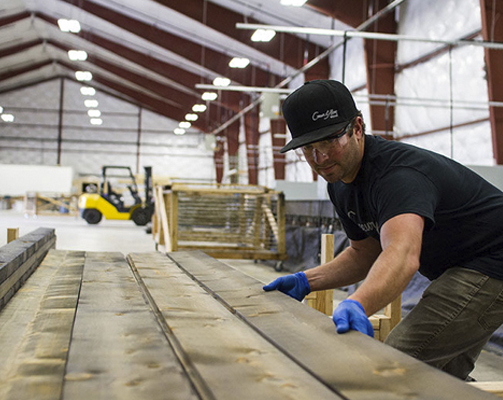 CDA Wood has achieved this by exposing raw lumber to a precise combination of sun, soil, water and wind. The raw material responds with the appearance of its natural colors and a feel that is indistinguishable from reclaimed wood. This proprietary procedure cannot be found anywhere else on the market today. Additionally, CDA Wood’s breakthrough process integrates a germicidal technology that is capable of destroying all the contaminates the wood may contain. CDA Wood’s product represents the absolute safest alternative to reclaimed wood. With this product being handled how it is, there is no risk of being exposed to off-gassing of volatile organic compounds often associated with lead paint or a number of other stains and treatments. Product comes in a well designed box, containing 25 feet of product. 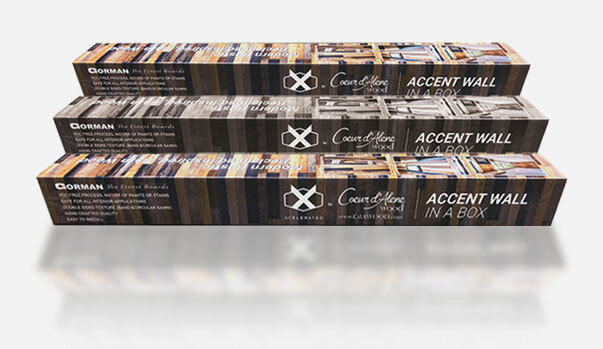 In Each box, you will either get two boards of each of the 7 color variations available (a total of 14 boards per box), or all boards coming in silver (depending on what you choose at checkout). Depending on the look you are going for, you can either have the traditional band saw and board look, or circle sawn finish. This is achieved as a result of each side of the board being cut in a different way. This gives you the ability to mix and match your boards to create a unique design. This product is VERY easy for the DIY’ers out there. You will have total control over both the look AND the textures you are wanting to achieve. This is a green product. All boards are sourced sustainably at their mills and timberland. Additionally, the boards will not emit anything into your home as result of staining, because there is no staining! The coloration achieved on these boards are a result of light. 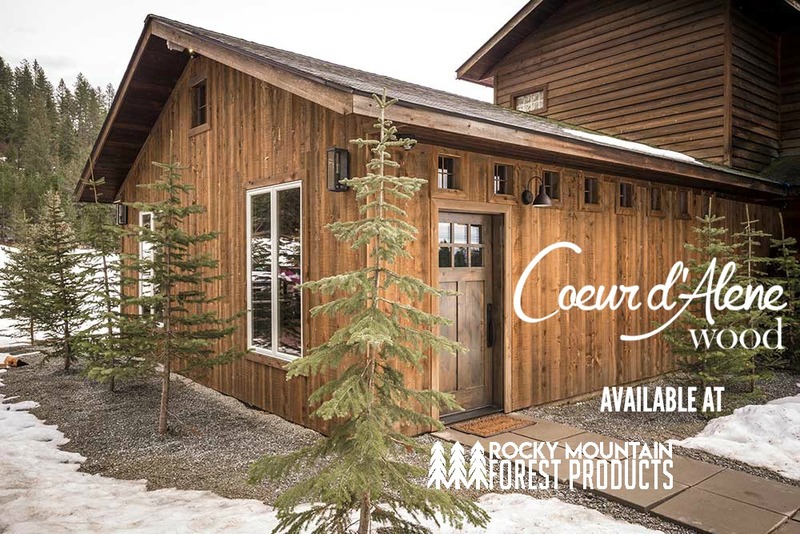 This cedar product is one of the only reclaimed lumber products available that that does not have to be sealed if you are looking to install on the outside of your home or business. As a result, Coeur d’ Alene is one of the most cost effective faux reclaimed products on the market! Some serious safety concerns can arise when regarding chemical toxins and larva infestation. When a company goes out to reclaim wood, they have no way of verifying what the wood may have been treated over its lifetime. 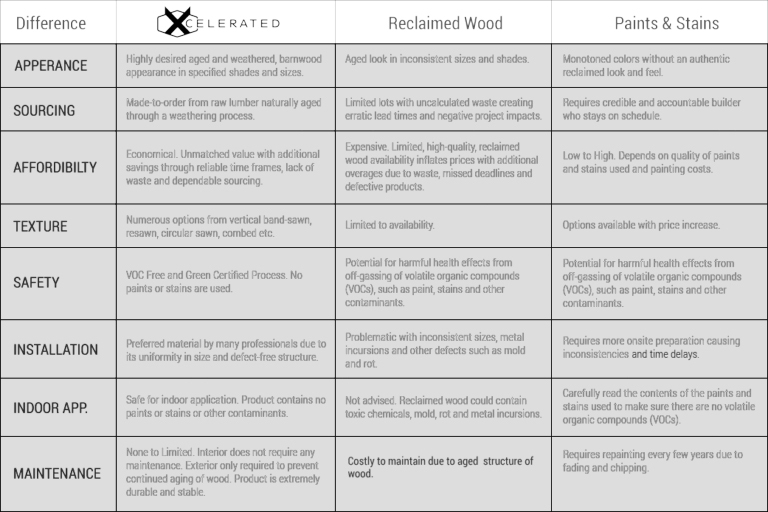 Xcelerated avoids these problems by taking the uncertainty out of how the raw wood is handled. It is a safe, economical and a completely practical solution to meet the demand of buyers looking to integrate the tradition characteristics associated with natural reclaimed wood into their everyday spaces. 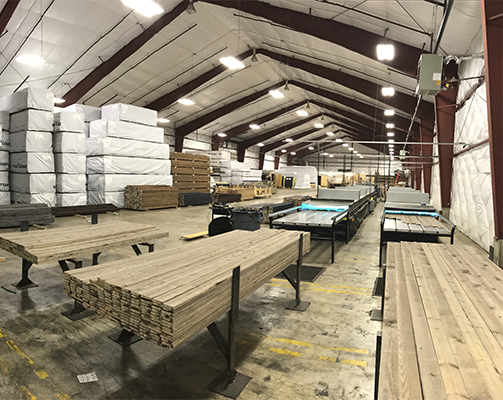 Xcelerated’s line of products achieve their character and appearance through the patented process that surpasses reclaimed wood and/or replicated imitations in every quality metric used by the industry today. Coeur d’ Alene also offers a variety of other products. From a line called Barn Door in a Box which is very similar to the Accent Wall in a box but as it sounds, it is a barn door. This product comes in five different styles and colors as well. Many of these products offered by CDA Wood are completely usable for both commercial and residential projects. 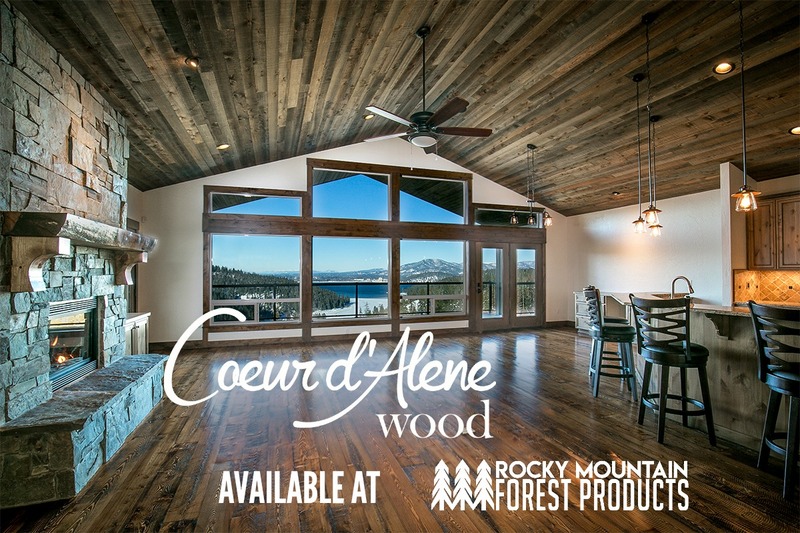 Call us for more details about any of the products that Coeur d’ Alene Wood has to offer.